Home &sol; Internet &sol; Google &sol; How Google Allo is better than Whatsapp and Facebook Messenger? Google Allo is a recent addition to the long list of instant messaging apps available all over the world. In recent trends with the advancement in the technology, it becomes easy to reach the next end of the world, in a quick turnaround as everything is just a click away from our hands. There has been continuous development of distinct applications to be used for distinct purposes. Especially for messaging purpose, there have been many messaging chat applications such as Facebook Messenger, WhatsApp, Telegram, Hike, Line, WeChat, Snapchat and Google Hangouts. 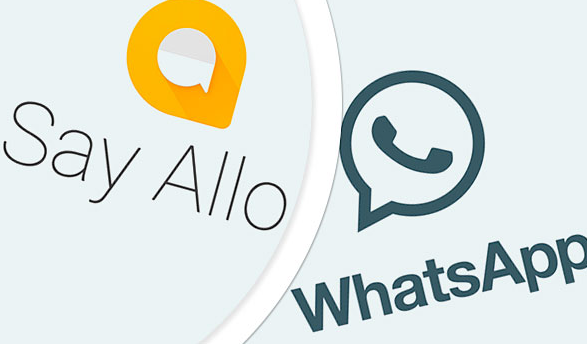 Added to these apps, recently Google has introduced their messaging chat application named Allo. It can be used both in Android and iOS platforms which is being viewed as a tough competitor against preferably used giant apps such as Facebook Messenger, WhatsApp and Snapchat. It’s time to know how Google’s Allo is distinct from other messaging chat apps and what are all the features in the Allo differentiates it from other messaging apps. The major aspect is the use of artificial intelligence to assist user communications. Its main asset is its integration with the company’s assistant that supports virtual aid to communicate. Also, the AI Google Assistant helps in answering the questions and also in offer few related suggestions. 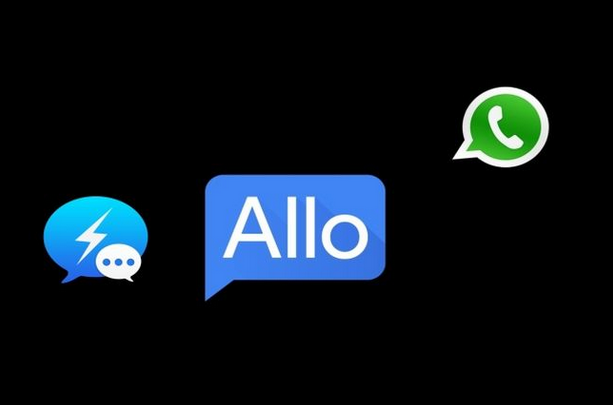 With the Google Allo intro, how would it cost against other chat messaging app veterans such as Facebook Messenger and WhatsApp? Is it really more beneficial and better than those? Backed up the Artificial Intelligence, its chatbot along with Google Assistant provides the user with smart, perceptive replies and excellent web search facility. Google Allo holds a special feature referred as Smart Reply that pops up canned replies to the inward messages, facilitating users not to spend much time on texting their responses to each and every message they receive. In mid of your chat, you can also pull the Google Assistant and can request to provide information such as nearby restaurants or movie timings or can just ask to play a music or game. The user in order to express their feelings can add stickers and emojis which are available in a lot in Google Allo. The app also permits the user to express their comment and ability to scribble on the videos and images prior sending them to the receiver. With the tie-up with artists all around the world, Google has developed 25 sticker packs to make use in this messaging app. On iOS platform, while using Google Allo along with Gboard, you can also send GIFs file. You can also chat including end-to-end encryption using an Incognito chat mode. In the sense, the chats will disappear immediately after sometime. Still, you can modify the duration of expiration time as per your convenience for each message in this mode. Google Allo supports group chats and free SMS can be sent to those who don’t have this app and also the responses from recipient can be seen in Allo. Pitfall: Google has made the decision not to encrypt any of the user communication, making it easier for them to read and intercept. Google seems to store chats on its servers and not encoding conversations as it makes it easier for Allo to learn from preceding conversations, which may lead to privacy concerns. Unlike WhatsApp, Telegram, in Google Allo you can’t share files. Owning more than 1 billion monthly users, it is a preferred chat messaging app that supports video-calling and voice-calling features. It facilitates user to synchronize their mobile number with this Facebook Messenger app and thus permit access to their SMS app also. It will automatically sync your Facebook Contact lists. Still, any friend request from those who are not in your friends list will be notified separately in ‘Message Requests’ folder and it’s up to the discretion of the user to accept or decline such requests. This app also supports scribbling on the images prior sending to your friends, videos, GIFs and stickers. 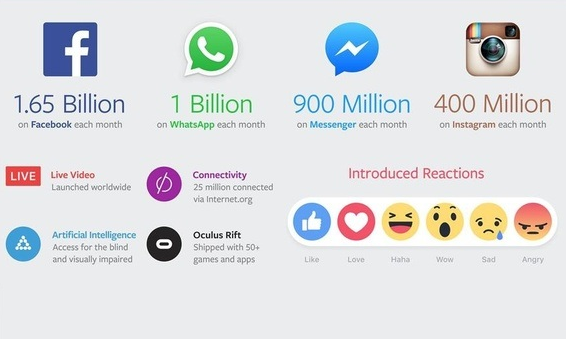 Facebook is also continuously upgrading its Chatbots in order to incorporate more features and services. Pitfall: By default, end-to-end encryption is not available in Facebook Messenger, still, if the user prefers can encrypt using separate secret conversation mode through which they can delete their conversations and messages after expiration time. This option is expected to roll out very soon. Still, the chatbots of Facebook Messenger have found not to be greatly successful so far. The great advantage with this app is that by default it includes end-to-end encryption; in the sense no third party can read the messages of the user by WhatsApp or even through Facebook. If a message is deleted, it is deleted once for all. It also supports voice-calling, upload files from any of the third party apps such as iCloud, Google Drive, OneDrive as attachment with your WhatsApp messages. As per recent Android Beta files, WhatsApp is planning to supports stickers, scribbling on videos and photos etc. shortly. There are also plans to launch services such as banks or airline texting you using this app very soon. Pitfall: Recently, a big policy change by WhatsApp was announced, that they will share information with its parent company, Facebook. However, a user can modify such option. 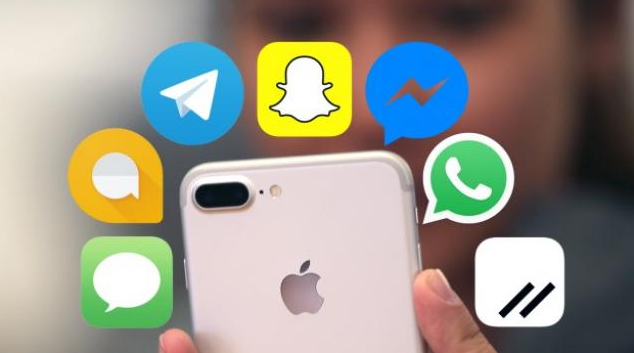 Even though no information shared in WhatsApp will be posted on Facebook, other details such as phone number, device used and so on will be communicated with the social media giant to facilitate sending ads on the website. This app has gained huge popularity among teens as it supports sending user-generated texts, videos, photos and calls both in audio and video format. It is seen as a “sexting app” that also supports sending pictures, stickers, video-calls to your friends on the app. With a bunch of followers and videos (maximum 10 seconds), user can share stories on this app immediately. You can edit the captured videos in order to emojis, face filters, annotations as and when you record it live. You can also follow other significant chatters on the app and can follow-up their stories as and when they post them. Pitfall: Due to it complex design, not everyone finds Snapchat as easy to use app and also it does not include end-to-end encryption and also the messages and conversations are stored on the server for nearly 30 days prior it get deleted.